Small Intestinal Bacterial Overgrowth, also known as SIBO, is a condition where colonic-type bacteria develop in large quantities within the small intestine. These types of bacteria resemble those found in the colon, instead of those found in the small intestine. There are a few reasons SIBO may appear. It can be caused by intestinal nerve or muscle dysfunction, obstruction, or a blind loop within the small intestine. Many other conditions are associated with SIBO, such as Chrohn’s disease, diabetes, scleroderma, and other autoimmune diseases. In addition to these conditions, SIBO has numerous symptoms identical to irritable bowel syndrome (IBS). Some doctors believe that SIBO may be responsible for IBS. Either way, those unfamiliar with SIBO have trouble diagnosing the issue. Symptoms of SIBO vary and are often confused with general IBS. This confusion, can lead to a complicated, painful diagnosis process for the patient. A gastroenterologist unfamiliar with SIBO, may not be able to identify the symptoms present. 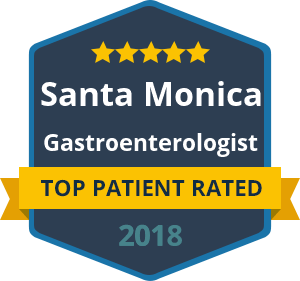 It’s important to see a SIBO specialist, such as Dr. David Yamini is Santa Monica, California. It’s important to know that a small number of patients with SIBO have chronic constipation, as opposed to diarrhea. Other patients may go back and forth between constipation and diarrhea. Some SIBO sufferer’s report symptoms that are unrelated to gastrointestinal pains, such as fatigue and body aches. Unfortunately, SIBO symptoms and pain tend to be chronic. The average SIBO patient may experience symptoms varying in intensity over the course of weeks, months, even years, until proper diagnosis is made. As painful as SIBO can be, the diagnosis process is painless. A hydrogen breath test can be done or intestinal fluid can be cultured. Treating SIBO can be relatively simple, and can have a quick affect on patients suffering from SIBO. It can be treated with probiotics, antibiotics, or a combination of both. The trouble with SIBO is that it’s symptoms are closely related to IBS. Patients face pain and frustration trying to treat their abdominal pain, bloating, and bowel movements without knowing what they are up against. Seeing a SIBO specialist, such as Dr. Yamini, will help you on your path to pain free living. If you have questions about SIBO or would like to see Dr. Yamini, of Westside Gastro Care, contact our office today for an appointment with your preferred appointment time and date and our staff will call to confirm.